Home > The 1990s > What Are Shoegazers? No one seems to know who coined the term shoegazing but it was an apt word for several bands in the early 1990s whose performances (and records) were seemingly oblivious of the audiences. Instead, they were introverted, almost hermetic at times, concentrating on their instruments, or gazing down at their shoes or the several pedals they used to change the sound of their instruments. Like most of the bands that emerged from the ever-widening indie scene, the music was guitar-driven, but far from traditional rock. The songs were meandering creations, not relying on hooks or choruses, although melody was an important factor. The vocals appeared more as an afterthought, often buried beneath the instruments. Although influential, it tended to be very incestuous, with the bands knowing each other, and attending the shows other bands played. In some ways it was this sense of self-satisfaction, and with it a kind of superiority, that stopped shoegazing becoming bigger – its influence was on the musicians rather than on audiences. The blueprint for shoegazing was laid down by My Bloody Valentine. 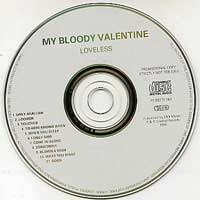 Their 1991 album, Loveless, was far from easy listening with its guitar drones and thick sound, but it proved to be an inspiration to a number of very young groups that were groping for a musical direction. That said, My Bloody Valentine were never part of the scene; instead, they seemed to stand above it, quite content to go their own way. If the Velvet Underground had been the band that launched a thousand other bands, then MBV was the band that launched shoegazing. Absorbing as the music could be for those playing it; it simply wasn’t captivating for most audiences. Some of the bands did well on record, such as Ride, Slowdive and Lush, but it’s notable that they all either curbed their excesses or gradually changed direction on disc. Even the Boo Radleys, who found great success as one of the new rock bands, had found the shoegazing street to be a dead end. It could only go so far, and the scene that celebrated itself, as it was derisorily called by Melody Maker, could only pat itself on the back so many times. Interestingly, one of the few bands that never really changed course was My Bloody Valentine. Ride moved more towards songs before an ill-fated third album that took them into psychedelic territory, after which they broke up, with guitarist Andy Bell finally joining Oasis. Lush joined the Britpop crew for a while, but seemed unable to sustain even limited success, finally breaking up. Slowdive morphed into Mojave 3, playing an eerie kind of atmospheric alt-country style, not a million years from the American band Mazzy Star. Interestingly, more recent years have seen a minor revival of the shoegazing trend among some younger bands, who now mix instruments and computer effects to create a much wider sound. As for My Bloody Valentine, they produced one track since Loveless, that being a cover of a song by Wire. Although rumours have arrived over the years of them being in the studio, nothing more has ever emerged.